Antoine Karacostas is a 34-year-old pianist of Greek origin. 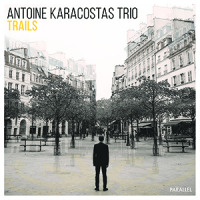 In 2017, he released his first album, Trails, in which he presented a repertoire of personal compositions and arrangements of traditional Greek songs, influenced by modern jazz from New York and the Middle East; a singular mix of haunting lyricism. The pianist enthusiastically resumed the composition to continue the work initiated with the first opus. With Insulary Tales, he began writing a series of compositions that evoke as many stories lived or imagined around the idea of insularity and the rigour of the natural elements that we experience, the poetry of the Cyclades landscapes and the extraordinary encounters that we make there. In addition, there are two arrangements on themes by rebetiko singer and composer Vassilis Tsitsanis, whose music has accompanied him since he discovered it. With Anders Ulrich on double bass and Simon Bernier on drums, the trio is united by five years of common musical and human adventures. 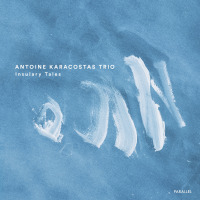 And although this configuration is the foundation of Antoine Karacostas' music, the new album was an opportunity to invite two musicians whose lyricism fascinates him and for whom he wrote some of the tracks on the album: Federico Casagrande on guitar and Andreas Polyzogopoulos on trumpet and flugelhorn. All About Jazz musician pages are maintained by musicians, publicists and trusted members like you. Interested? Tell us why you would like to improve the Antoine Karacostas musician page.